Welcome to Cinema Sound, the world’s largest resource of audio-for-film education incorporating over 85 hours of video education. Authored and presented by Mark Edward Lewis and produced by education provider MZed, Cinema Sound is committed to supporting independent media creatives by teaching skills that enhance their production so much that they can compete with Hollywood Big-Budged projects in order that the masses choose independent media as much or more than Hollywood productions. We believe the most efficient way to do this is by improving sound-to-picture and production. Also, be sure to join the Cinema Sound membership list to be kept up-to-date on all the discounts, Hollywood secrets and more that get sent out weekly – including a digest of everything posted in the blog. Click here to join the Cinema Sound membership list. You can unsubscribe at any time. Contact Cinema Sound and Mark Edward Lewis via our Twitter or Facebook accounts, or email the Cinema Sound team here. For advertising & sponsorship enquiries please view our advertising information. What makes Mark an invaluable resource is his mastery of all aspects of audio production. One of the new breed of directors who approaches storytelling from an “audio first” context, Mark’s projects have a flow, pacing and emotional impact that few directors possess. Always strongly adhering to the axiom, “Post production begins in Pre-Production,” Mark has righted many adrift productions with his organization, creativity, ingenuity, and cross-discipline experience. Mark has worked professionally in nearly every area of both production and post production including event development most recently as a post production supervisor on the Avenger’s S.T.A.T.I.O.N. with Frank Serafine. 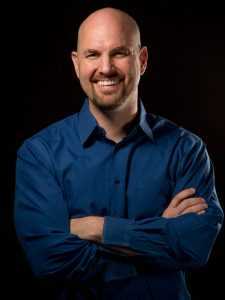 In 2016, he was the main presenter for the “Sound Advice” tour in North America and Australia where he taught over 1,200 filmmakers about improving their production value with better soundMark is also a published writer on the subject of live audio mixing with his book “Audio Mixer’s Secret Handbook: Live Audio Alchemy,” his next books in the series, “Cinema Audio Alchemy” and “Film Music Audio Alchemy” are due by the end of 2017. Mark is also available for consulting, recording and mixing services. For more information on Mark’s services please email [email protected]. Founded by pioneering photographer Monte Zucker in the early 1960s, MZed has become globally synonymous with premium education for filmmakers and creatives. After transitioning from the company’s original focus on photography, the past decade has seen MZed become a leader in specialist education for filmmakers.MZed’s previous and current educators include Pulitzer prizewinning photographer and filmmaker Vincent Laforet, feature-film cinematographer Shane Hurlbut ASC (Need for Speed, Terminator Salvation), Saturday Night Live cinematographer Alex Buono, celebrated commercial photographer Joel Grimes and many more. For more information on MZed please visit www.mzed.com.